Fly: Hey, cutie! Wanna pollinate with a real bug? Several of Walt Disney Pictures' best animated films of recent years have been released or distributed through Pixar, an animation studio that specializes in computer generated animation and "A Bug's Life", their follow up to the hugely successful "Toy Story" ranks as one of the best and funniest Walt Disney Pictures animated films. 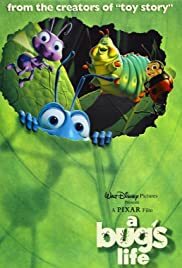 Released during the same month as a similar computer generated animated film, "Antz", "A Bug's Life" suffers no bad comparisons because I consider it to be just as good as amusing as "Antz." The main focus of the film is Flik, a worker ant who has a very inventive mind and keen eye for detail. 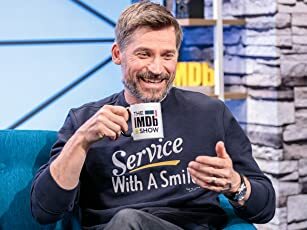 He means well but his attempts at helping his fellow ant colony with his ideas and inventions usually cause accidental disaster. One day, the ant colony set up a tribute display for a bad grasshopper named Hopper and his gang but Flik accidentally knocks it down. Hopper is very upset by this and he threatens to kill off the entire colony if they don't build him another provisions pile by the time he inspects the area again. Flik decides to help. He has only a few days to find some "warrior" bugs that can stand up to Hopper and his gang. He comes across a group of disgruntled bugs that had just been fired from their gigs at a flea circus. 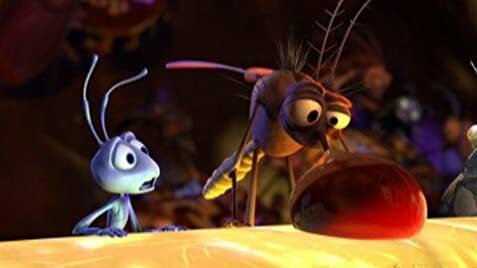 Flik decides to bring them back to the colony and recruit them as warrior bugs. An inventive idea for a children's film with much of the same humor and ideas that helped to make "Toy Story" an animated classic.